seems to go into another direction. Want to be a member of the an IIHTVH? It couldn't be easier! 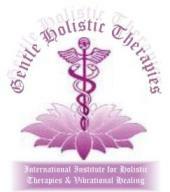 Are you a qualified Teacher of a holistic modality? the backing of a bone fide school? E-mail us to discuss you becoming an IIHTVH Teacher. the IIHTVH in your City, Region or Country? E-mail us to discuss becoming an IIHTVH Representative. Are you asking yourself where you are going in this life and how to get there? Have you arrived at a point in your life where nothing makes sense? Do you feel misunderstood by others or don't understand others anymore? Is your life filled with chaos and problems and you don't know what to do anymore?